I would like to review 3 areas of Kyle's outfitting service: Accommodations, Area and Guiding Effort. 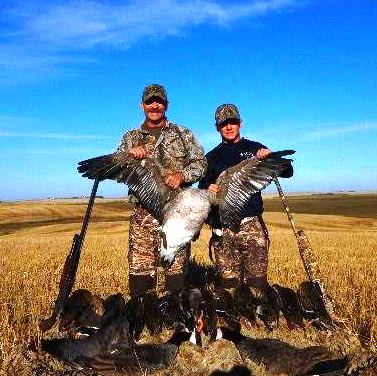 Accommodations: Kyle and his wife have a basic lodging facility in Assiniboia Saskatchewan which fits all the requirements for an excellent Water Fowl adventure. Kitchen, shower, beds located in a convenient open room design. Wader storage, gun and ammo storage. Kyle's wife is an excellent cook, and provides wholesome, hearty meals during your stay. From my point of view the facility is perfect for your group or pair. our hunt and went to a really neat hot water spa which we learned from one of Kyle's Canadian scouts. Awesome after hunting hard for 3 full days! Guiding Effort and Attitude: Kyle has a great personality and excellent work ethic. My son and I signed up for the upland game/ water fowl 3 day hunt. We hunted 3 times per day for two days and finished up on a morning hunt. Limits for upland game birds are surprisingly light. Two sharp tail grouse per hunter and 4 partridge per hunter. 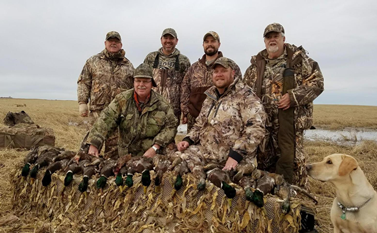 Water fowl limits are generous and you will have plenty to donate or take home. I highly recommend Kyle's guide service. Thanks for the awesome hunt. You and your scouts put us on HOT fields every morning and afternoon. The trip created memories that our group will always remember. The great home cooked meals, the comfortable accommodations, and clean hunting gear just helped make the trip that much more enjoyable. We will definitely be back for more amazing memories.